The real estate industry generates billions of dollars in revenue per year in residential, commercial, and industrial sectors. In such a vast landscape, real estate professionals have to compete for the business of home buyers, renters, and investors. 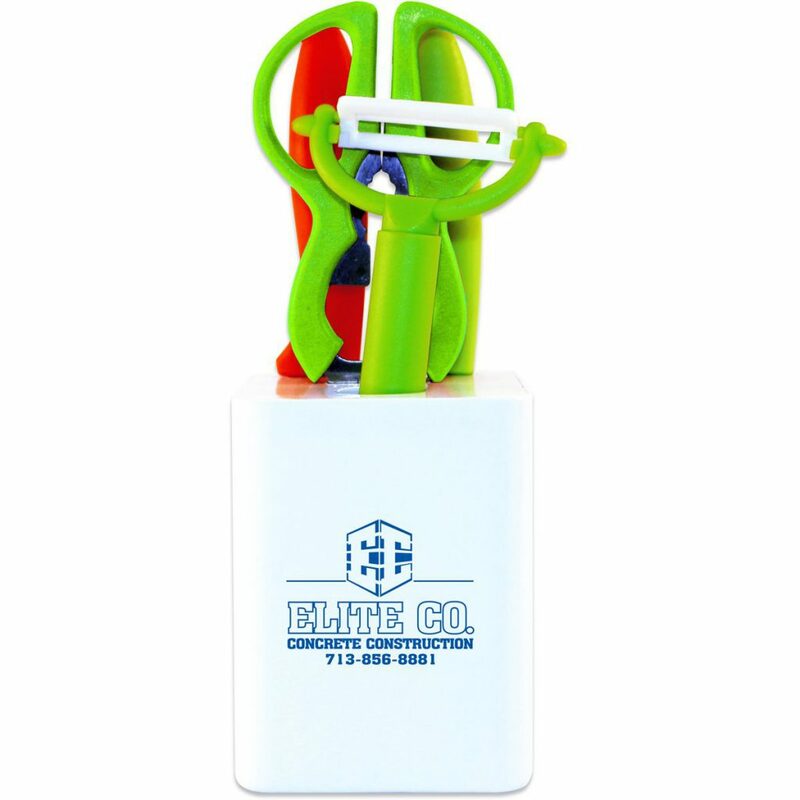 One of the most effective ways to market real estate services is with custom promotional products. The industry lands at no. 8 in the list of the top 10 industries purchasing promotional products (Source: Promotional Products Work). We’ve collected some of our favorite items for real estate professionals to give to their clients as housewarming gifts or just to say thanks for their business. Their clients will also have a reminder of their name or business to contact them for future needs or to refer them to a friend! Handing over the keys to a proud new homeowner is an exciting moment! 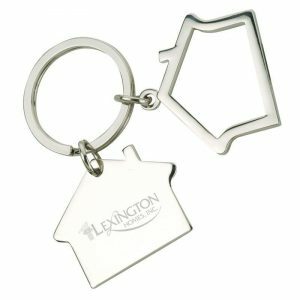 Remind your clients to take advantage of these pivotal branding opportunities with this memorable house-shaped keychain with a prime spot for their logo. 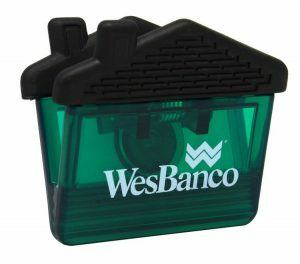 A handy giveaway for new apartment residents, homeowners, or condo owners, this multi-functional promo product includes a tape measure, a notepad and pen, a level and a belt clip to make home repairs and decorating a breeze. With 77% of consumers citing usefulness as the number-one reason to keep a promo product, you can bet this product will stick around for years to come. Suggest it to your clients in real estate looking for some longevity with their investment! Let’s be real, after a long day of moving, new residents rarely feel like unpacking their kitchen essentials to start cooking. Time to order a pizza! 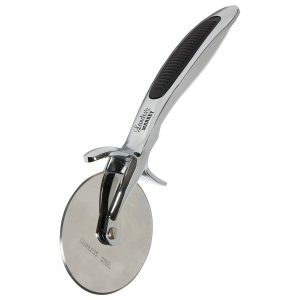 For real estate clients looking for a clever gift to give to their customers, suggest this stainless steel pizza cutter that is sure to get many impressions over the years of entertaining around the kitchen table. Cheers to the new residents! What pairs better than a little celebratory wine with fresh pizza? 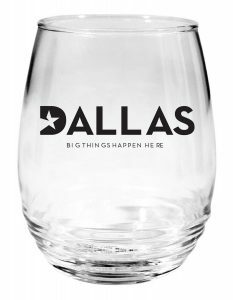 Stemless wine glasses are a timeless promotional product that will make a nice addition to bar carts everywhere, showing off your clients’ company logo year-round. Moving can bring on a real headache. 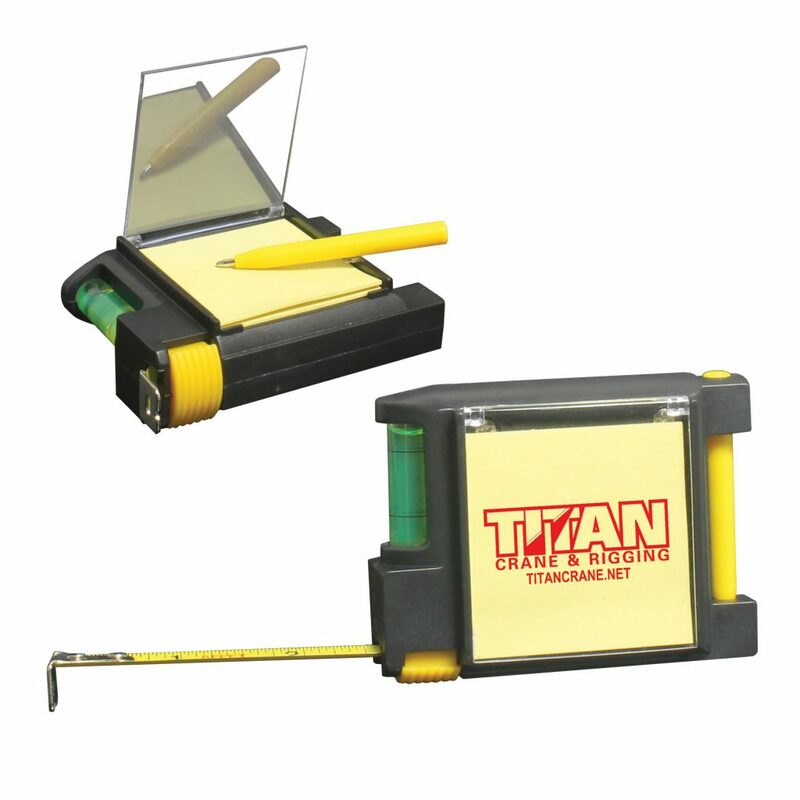 This handy promotional product offers your clients an affordable but lasting branding opportunity. Eighty-nine percent of consumers can recall the advertiser of a promotional product they’d received in the last two years. This promotional product is sure to stick around the medicine cabinet long after their customers are settled into their homes. Ninety-one percent of consumers have at least one promotional product in their kitchen. 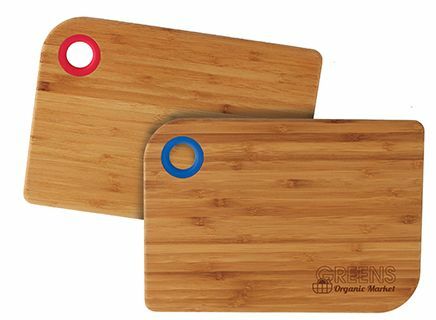 Inspire your real estate clients to claim some prime real estate of their own, their recipients’ kitchens, with this mini bamboo cutting board. 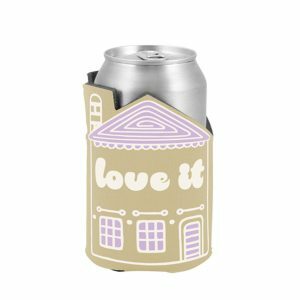 Put a colorful twist on your clients’ marketing with this house-shaped can coolie! Easy to fit into a new homeowner or resident welcome kit, this drinkware accessory will make its way around backyard barbeques, summer get-togethers, pool parties and more, giving your clients even more impressions for their money. 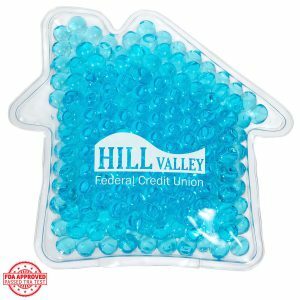 A clever leave-behind, this house-shaped magnetic clip allows your clients to put their business cards on their customers’ fridges to serve as a reminder of their business or as a referral to pass along to friends and family. In our ever-connected world, this smart plug makes remotely controlling a device super easy. 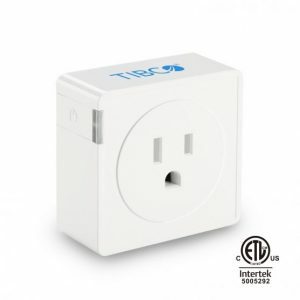 The Wi-Fi enabled smart plug can remotely monitor and turn a plugged-in device on or off. If you have clients looking to stretch their investment to include multiple products, a gift set is an ideal promotional giveaway. This set organizes five kitchen essentials in a handy, logoed container. Looking for more product inspiration? You can find more products for top industries like healthcare, construction, automotive, and more here. Happy hunting! What about branded house keys from Klinky? SAGE/67482 They are patented real working house keys that can actually be cut to open your front door. They can have any logo or contact information on the domed head of the key. Smart plug and kitchen set are the best. Something we use every day.